As an artist and educator, I'm very interested in getting children interesting in nature. 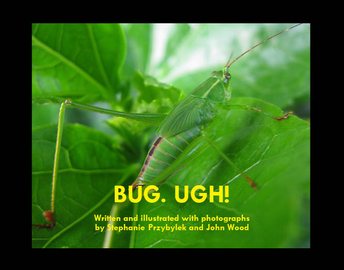 All of my picture books use my artwork and photography to explore different nature-related themes, from bugs (not ugh!) to the fascinating colors of sea creatures in the ocean. These books are available in multiple sizes from Presto Photo, a printing company based in North Carolina. They do great work -- follow the link for each book to get exact pricing and size options. 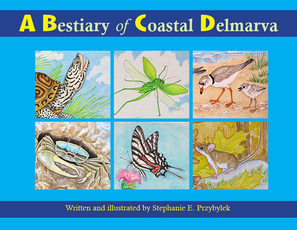 Learn about the fascinating creatures that live in the air, in the water and on the lands that encompass the Delmarva Peninsula. This alphabet book for young readers features a creature (or two!) on each page, and includes additional fun facts about them. Go wild and help your child learn their ABCs with these creatures from around the world! From Aardvarks to Zebras, some of these animals might be familiar friends while others your child may meet for the first time. 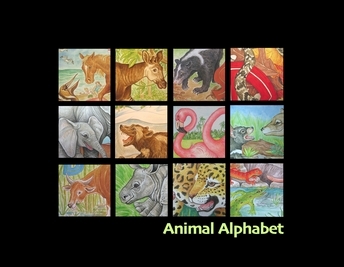 Animal Alphabet also includes unique animals like okapis, Tasmanian devils, and wolverines. Get Buggy! We don't always notice the little creatures lurking in our yard and garden. Explore the world of bugs and get more familiar with the insect world. And then go outside and discover some bugs in your own backyard! This book includes identification of many kinds of common insects. What's That on the Ground? Take a walk outside, or put your foot in a wandering stream. What's down there, and who might be living below you? 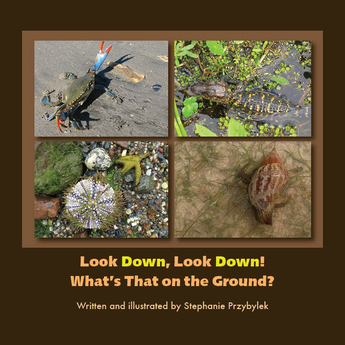 Explore the world beneath your feet and get a new perspective on all sorts of plants and creatures. Text includes fun "Where and What" facts for each image. Redfish, Black Sea Bass, Green Moray Eel: all sorts of colorful fish and other creatures live in the world's salt waters. 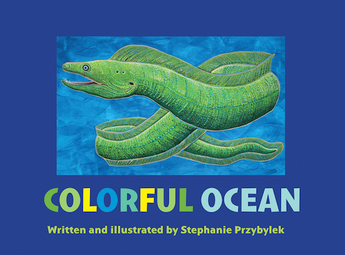 This bright and bold picture book introduces young children to color through sea creatures.